University Press of New England, 9781584653646, 464pp. Howard Frank Mosher is one of the best-loved writers of northern New England, one who has "created a literary landscape as textured as anything produced by the U. S. Geological Survey," according to USA Today. His "greatest gift," says the Washington Post, is "his talent for creating lively, living characters." One of his most vivid and memorable characters is Marie Blythe. At the dawn of the twentieth century, a young girl with a felicitous name immigrates to Vermont from French Canada. She grows up confronting the grim realities of life with an indomitable spirit--nursing victims of a tuberculosis epidemic, enduring a miscarriage alone in the wilderness, and coping with the uncertainties of love. 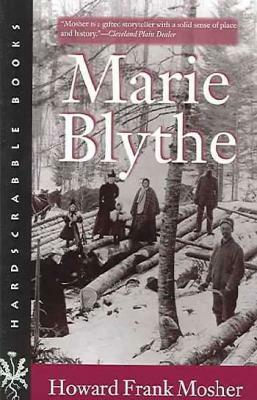 In Marie Blythe, Mosher has created a strong-minded, passionate, and truly memorable heroine. Described by the Los Angeles Times as "a combination of Ernest Hemingway, Henry David Thoreau, and Jim Harrison," HOWARD FRANK MOSHER is the author of The True Account: A Novel of the Lewis and Clark and Kinneson Expeditions, A Stranger in the Kingdom (winner of the 1991 New England Book Award for fiction), and other books. His collection Where the Rivers Flow North has also been reissued by UPNE; the title story of that collection was made into a movie starring Rip Torn and Michael J. Fox. He has received a Guggenheim fellowship and a National Endowment for the Arts fellowship, the American Academy of Arts and Letters Literature Award, and the American Civil Liberties Union Award for Excellence in the Arts.